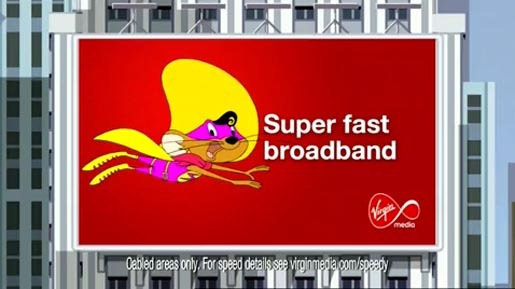 Virgin Media is using Looney Toons character Speedy Gonzales to promote its broadband speeds, with viewers of The X Factor on Saturday (October 23rd 2010) among the first to see the latest ad. The Speedy Gonzales campaign was developed at DDB London by creative director Guy Bradbury, art director Aaron McGurk, copywriter Chris Lapham. Filming was shot by director/animator Hibbert Ralph, London. Sound was produced at Clearcut, London. Music was composed and arranged by John Altman.